What do you know about the interesting women in Dutch history? The women who shaped this history, who brought changes into their communities, who fought, wrote, or just rebelled against the system for their personal gain? Would you like to know about them? 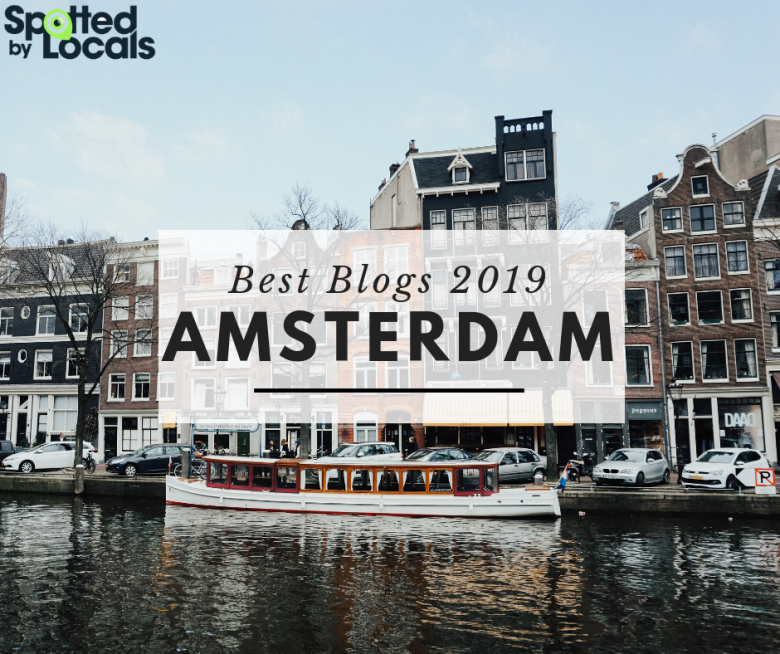 If so, there’s a tour that can shine light on it: Badass Women of Amsterdam! 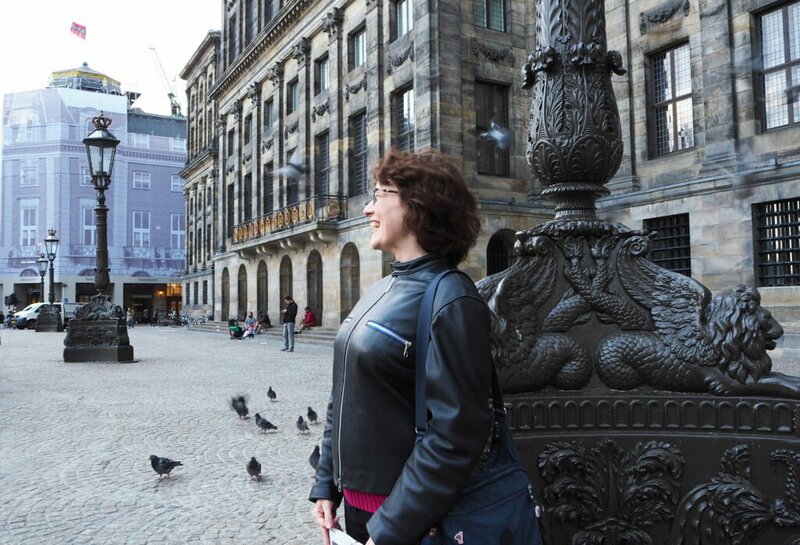 Elyzabeth, the tour guide, is a badass woman herself: passionate about women’s history and good stories, as well as about Amsterdam, she did a lot of research, going through the archives, translating documents, to gather material about the badass women in the Dutch history. How did she came up with the idea of this tour? 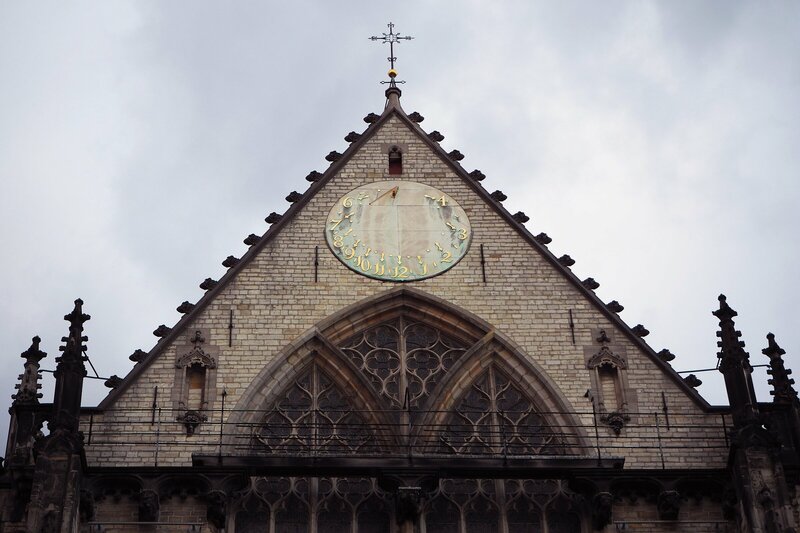 There are two types of tours that you can take: a longer, private tour (around three hours) that takes you though the canal belt, and a shorter one (around 100 minutes) going through the medieval city centre. 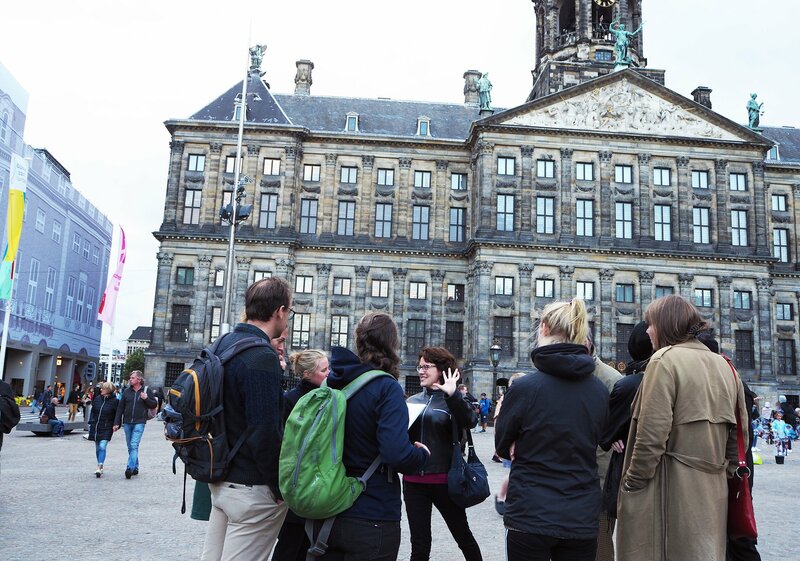 Both tours will give you a short history of Amsterdam to start with and will continue with the stories of the badass women. Elyzabeth knows how to captivate your attention and she is a great storyteller. I attended one of her tours and her energetic and passionate talking about fascinating Dutch women, from queens to painters and poetesses kept me hooked despite the rain that seemed determined to chase us home. We walked through the city, stopping here and there in different spots that had a meaning for the story we were about to here. It was a bit like travelling back in time, and as the night fell over us, the stories would seem more fantastic and the characters were coming to life, walking next to us in today’s Amsterdam. In the end the rain won and convinced us to retreat inside, in a warm café where Elyzabeth continued her stories while we were sipping hot chocolate or red wine. 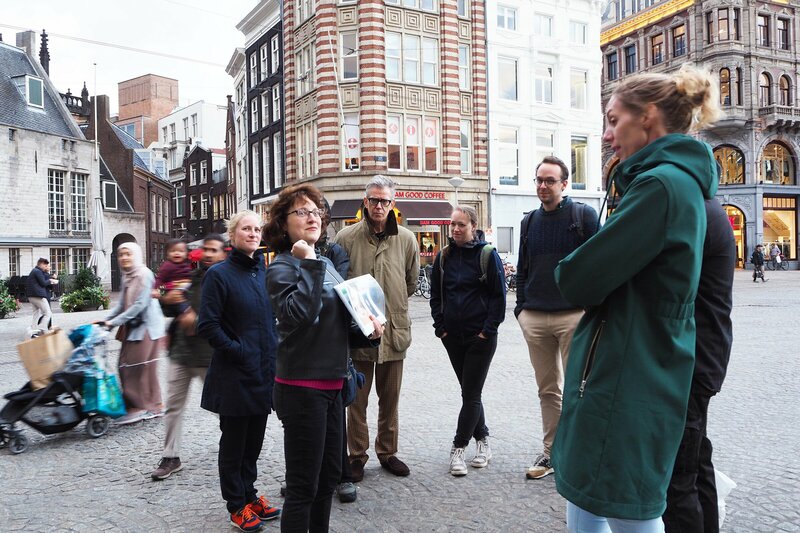 A few names that stayed with me after the tour: Maria Tesselschade and Anna Visscher, Aletta Jacobs, Judith Leyster, Bet van Beeren — and the rest you’ll have to discover yourself, together with their stories, during the tour. For more info, you can check the Badass Tour website and write to Elyzabeth if you have any questions or want to book a tour.